With all new videos this course is the most advanced training in the world for the poignant subject of flowers. 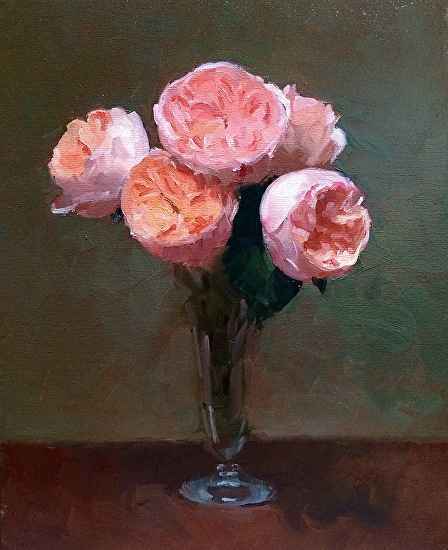 Master Painter Dennis Perrin, recognized as one of this generations' leading painters of flowers, will lead you through his patented method of painting step-by-step, with a calm, soothing demeanor, allowing you to easily explore one of the most interesting and captivating of all artistic subjects. 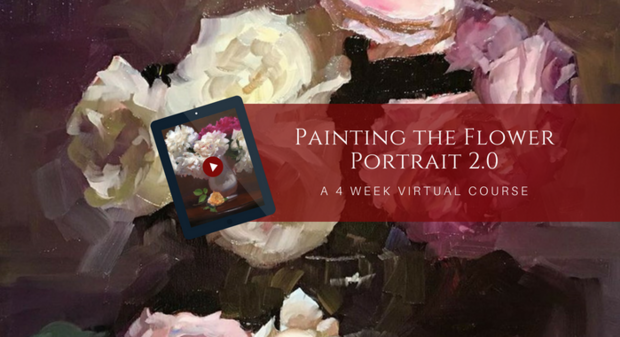 Through high quality video and in the moment narration, Perrin will let you in on the secrets that have vaulted him to the top of the world of flower painting. Only now have these secrets been made available to anyone, anywhere in the world, on any device, designed to conform to any schedule. And the best part is, this course, once purchased, is available lifetime! Learn the History and Lineage behind the Floral Still Life and its allure in Art History. “Dennis, your method has begun to solve my longstanding issue of color vs value. I had been taught value comes first, but was still not clever enough to keep my values separate on the palette. I paint mostly chiaroscuro and in the particular style I was familiar with, shadows were to be mysterious and transparent. Except for the odd reflected light or translucent effect, shadows were mostly left to themselves. There is very little value or color done in shadows other than right around the transition. I love how alive your shadows become! I never liked my paintings not done with the dark shadowy background. Now I realize how to handle higher key paintings and make them interesting! Play with the shadows! Your method will be terrific whatever the style in which I choose to paint! I am so happy you share all your wonderful insights with students! I found your first online class in December 2015. I have signed up for every subsequent class and will do so for your next one. You and the other students have been my own wonderful armchair art workshop for over a half a year! And you all feel like supportive friends. And I hope you continue to offer classes on any subject you can dream up!” – V.E.